John is nationally renown for his expertise in multivariate analysis. He is an expert in driver analysis, product optimization, new product development, pricing, market segmentation, etc. 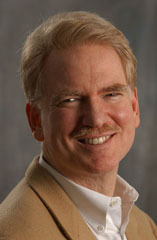 John is a professor at the University of Georgia's Terry School for the Master of Marketing Research Program, and the Ph.D, MBA and undergraduate programs. He also teaches executive seminars on experimental design, conjoint and discrete choice. Ph.D. in Management from the University of Georgia, an MS in Statistics and a BS in Chemistry from the University of Miami.